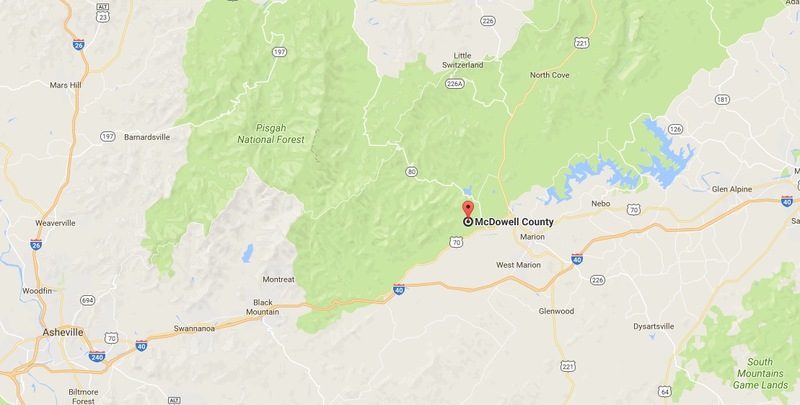 This week in North Carolina’s McDowell County, Bigfoot 911 based out of Marion reported a Sasquatch sighting. Posting on their Facebook page John E. Bruner from the group said they had the encounter at 11 p.m. on August 4 in a wooded area. Nobody was injured during the incident but some rocks were thrown at them. He then pursued the animal and had an even closer encounter where he describes having eye contact with a creature with a hairless black face and shaggy hair over the rest of its body. Bigfoot 911 operate a private group on Facebook where you can join up and discuss sightings and other topics related to Bigfoot. This is not the first sighting of a Bigfoot in the area, famously back in 2015 a tourist claimed to have caught one on video whilst out walking his dog. Eric Walters said he filmed the creature in Henderson County but a vacation rental company said the video was shot near one of their cabins at 41 Gold Anchor Lane, off N.C. 9 south of Black Mountain, with one of their signs visible in the video. Walters himself said at the time he was not sure if it was real or just an elaborate prank. What do you make of this latest sighting by Bigfoot 911?